Developers seeking to build a Walgreens at the entrance to Key Biscayne are tired of waiting for village officials to act and have turned to the courts. On Dec. 19, Circuit Judge Jerald Bagley ordered the Village Council of Key Biscayne to show why the court shouldn’t force the council to vote on the project’s site plan. The village council has 20 days after being served to respond. A court hearing may be held, particularly if the village council wants to fight the action. Its attorney has indicated it will. Attorneys for developers filed a 17-page complaint in the 11th Judicial Circuit against the village, asking the court to compel the council to act. Key Biscayne Gateway Partners Ltd. owns the property in what’s known as the entry block to the village. It is the petitioner in the action against the village council. The company is asking the court to order the village council “to promptly vote” on the site plan. “Said approval process typically takes just a couple of months, but due to the unfair and unreasonable conduct of the Key Biscayne Village Council, its staff and the Village Attorney, the process has already taken nine months, with no foreseeable end in sight,” according to the complaint. David Puyanic, one of the property owners and developers, says some village council members are trying to paint the developers as bad guys; outsiders who don’t know the area. He said that could not be further from the truth. “We’re not a group of outsiders… we are Key Biscayne. We are people who are going to drive by this site every day. We believe in it wholeheartedly,” he said of the project. 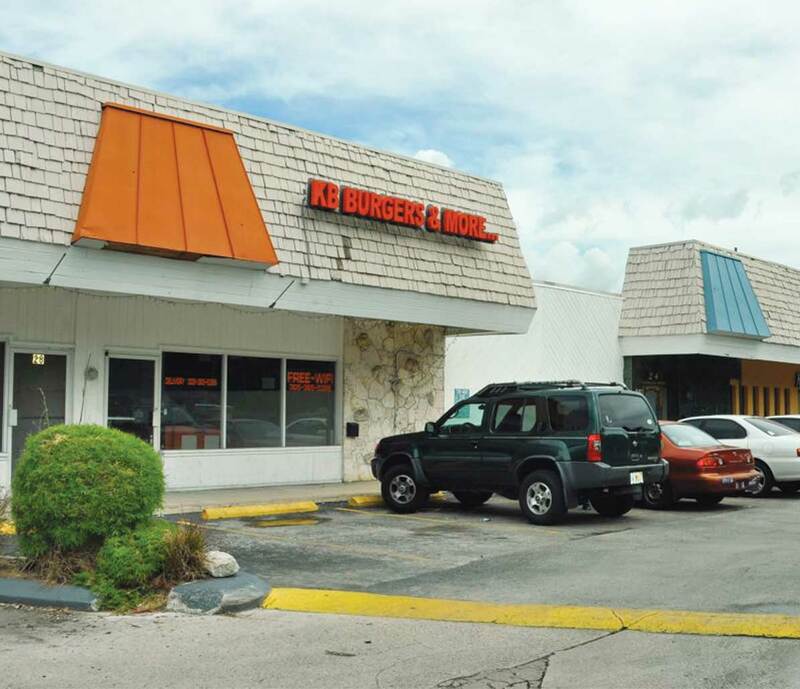 Key Biscayne Gateway Partners owns property at 12, 22 and 24 Crandon Blvd. The businesses at that site have closed, including a Cuban-themed restaurant, liquor store and hamburger diner. The property is in the C-1 Light Intensity Commercial Zoning District and has a Commercial Future Land Use Designation. The project calls for construction of a Walgreens with a separate retail wine and liquor store. The company has a contract with Walgreens Co. under which the company agreed to lease part of the site to Walgreens. Key Biscayne Gateway Partners is working with development company Morgan Group Ltd., the official applicant on the site plan filed with the village. In the complaint, the developers say they have a clear legal right to compel the village council to review and vote on the proposal. Developers submitted a site plan and a conditional use application on March 6, 2013. The developers have satisfied all legal requirements of the Key Biscayne Code of Ordinances for these applications to be approved, according to the complaint. Nonetheless, the development company “has been repeatedly required to comply with fictional application requirements” fabricated by the village to have the application ruled on, the complaint alleges. These include requiring multiple unnecessary traffic studies that aren’t required by the village Code of Ordinances, the developers say. The developers have demanded that the village council vote on the applications and the council has refused, the complaint says. The case was on council’s Dec. 3 agenda, and in a 5 to 2 vote the council deferred action for 60 days to study it more closely, according to the motion to defer. The site plan was deferred until Feb. 11. Village officials have referred media inquiries about the legal action to the village’s attorney. Publicly, some council members have defended delays, saying they’re simply taking their time and considering all aspects of a new development and the impact it could have on the village. Steve Helfman, attorney for the village council, said he’s working on a response to the complaint and will have it filed by Jan 9. He called the legal action “awkward,” making a distinction between the property owners and the development company that has filed the formal application, Morgan Group Ltd. Mr. Helfman said village officials and the developer, Morgan, have gotten along just fine. It’s the property owners who are frustrated and have taken this unusual legal action, Mr. Helfman said. “We’re disappointed that the owners of the property felt they needed to file a lawsuit to compel a hearing,” Mr. Helfman told Miami Today. Mr. Helfman said there’s been no delaying. The only time the project came before the village council was Dec. 3, he said. “No vote was taken [on the site plan]… They deferred any action, based upon their own traffic engineers’ recommendation that further analysis needed to be done,” said Mr. Helfman. “This is not the developer or Walgreens who filed the lawsuit – it’s the owner of the land. We’re working with a very awkward, strange lawsuit, filed by property owners. We don’t believe they have any standing to file a lawsuit… We will let the court decide that,” he said. Mr. Puyanic said they promised a hearing in November, but then decided traffic studies were needed. He said the village hasn’t required traffic studies on other, larger developments that have won council approval. Mr. Helfman said the site plan has undergone administrative work or staff review for several months to make certain it was legally sufficient. Mr. Puyanic said it’s an unfair and deliberate delay by elected officials who want the property for a park. “Completely false,” responded Mr. Helfman. Mr. Puyanic said council members Michael Kelly and Mayra Pena Lindsay have said they have no intention of approving the Walgreens plan. “That’s completely false,” Mr. Helfman responded. He said he expects the council to vote on the project before any court hearing can be held on the complaint filed by Key Biscayne Gateway Partners. “We expect to have a hearing and decision of council long before this lawsuit is resolved,” Mr. Helfman said. Mr. Puyanic said he remains excited about the project, saying he was able to negotiate with Walgreens to get a nicer, better-looking building than a typical Walgreens design, yet he remains frustrated by officials dragging their feet.